Top Iranian diplomat warns President Trump nuclear deal is 'all or nothing', says Iran won't accept modifications to deal. 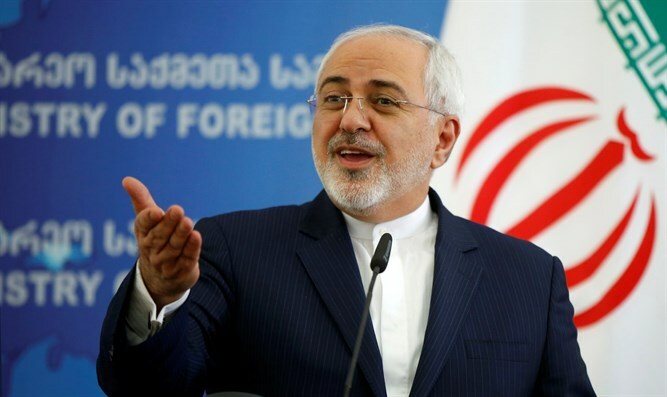 Iran’s Foreign Minister, Mohammad Javad Zarif, said his country will not accept alterations to the 2015 Joint Comprehensive Plan of Action, better known as the Iran nuclear deal, warning President Donald Trump that the agreement is “all or nothing”. “President Macron is correct in saying there's no ‘Plan B’ on JCPOA,” tweeted Zarif on Monday, referring to French President Emmanuel Macron’s interview with Fox News Sunday in which Macron said there was no alternative to the JCPOA. President Trump has called on European allies to help “fix” the deal, negotiated during President Barack Obama’s presidency, and threatened to reimpose sanctions on Tehran if changes are not made by May 12th. Critics of the Iran nuclear deal, including Israeli Prime Minister Binyamin Netanyahu, have called for stricter limits on Iran’s nuclear program, better enforcement mechanisms, and measures to halt Iran’s ballistic missile program. But supporters of the deal, including France’s President Emmanuel Macron and Germany’s Chancellor Angela Merkel, have urged the Trump administration not to end sanctions relief for Iran – a move that would effectively withdraw the US from the agreement and likely prompt Tehran to bolt as well. Trump has long criticized the deal, calling it one of the “worst deals” in history, vowing to either secure improvements to the JCPOA, or scrap it.